Have you ever been in the middle of a good book and need to mark your place when you set it down? Maybe the phone rings and you can’t ignore it again. Maybe it’s time to pick up the kids at school but you’re going to bring your book to read in the carpool line. 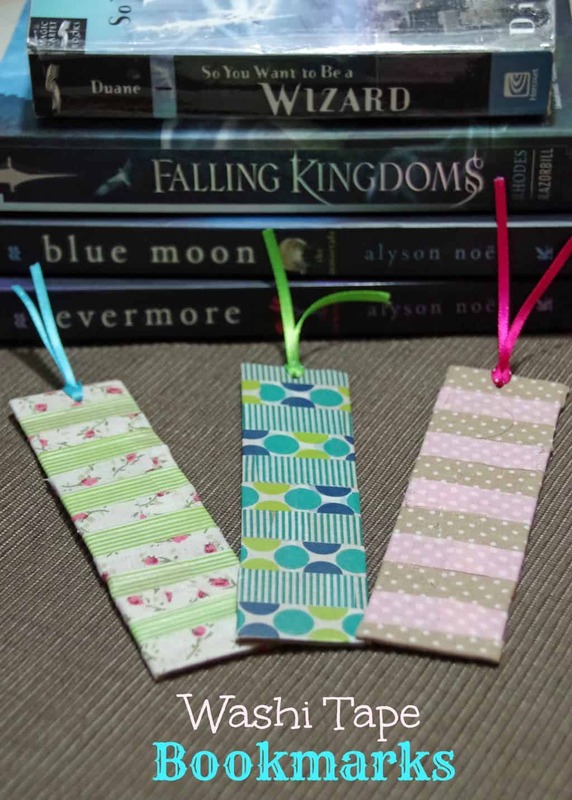 Of course, you can’t find a bookmark so you end up sticking weird things in the book to mark your place. Maybe a paper coaster or an expired coupon that you meant to throw away. They get the job done but are certainly not the prettiest way to mark your spot. You could always turn down the corner of your page but that isn’t good form when reading a library book or something borrowed from a friend! 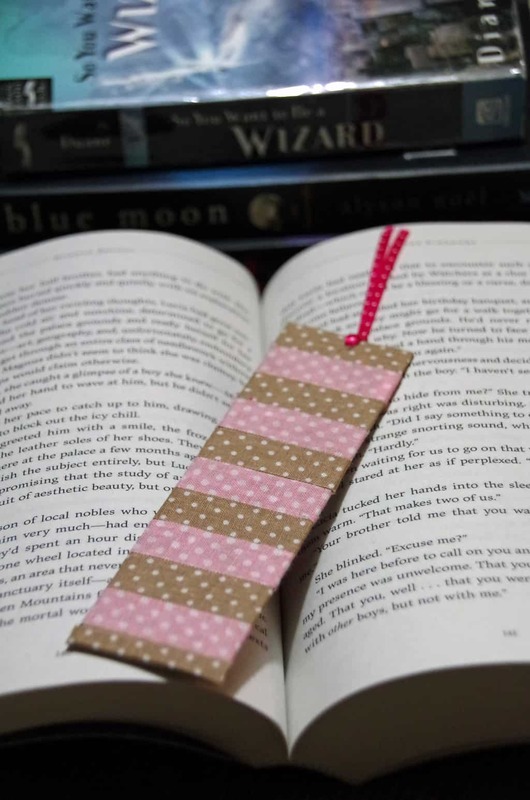 Well, if you have a little bit of cardboard and some Washi tape laying around the house you can very easily make this Washi tape bookmark! I am a little late to join the ‘Washi tape crafts’ craze but I recently bought a TON of Washi tape on Amazon and have been looking for creative ways to use it. Honestly, Washi tape is some seriously awesome stuff! Tons of pretty patterns and it is remarkably sturdy and easy to use. I see a lot more Washi tape shopping in my near future! 2. 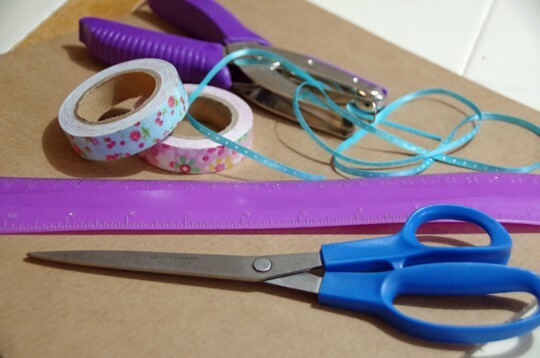 Using small pieces of Washi tape, wrap the cardboard in your desired colors and patterns. 3 1/2 inch strips are long enough to go completely around. Now, the next time you find yourself needing to put down your book you won’t have to grab the closest utility bill to stick in there! Thanks for sharing! It was a fun craft!